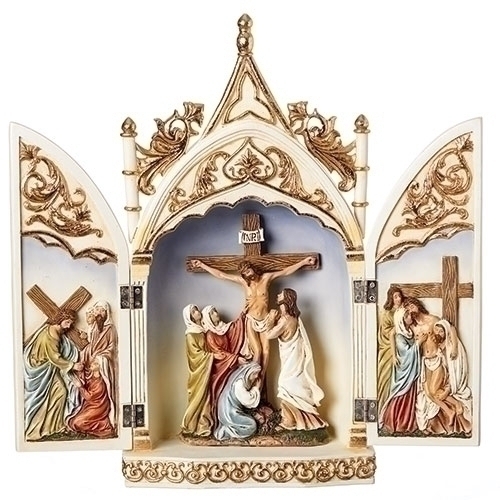 14"H Crucifix Tryptych Scene. Resin/Stone Mix. Boxed.